Hooray for September! September is one of my favorite months. The kids go back to school, the weather cools and we head into fall, my favorite season. This photo is from Sue Shimomura. 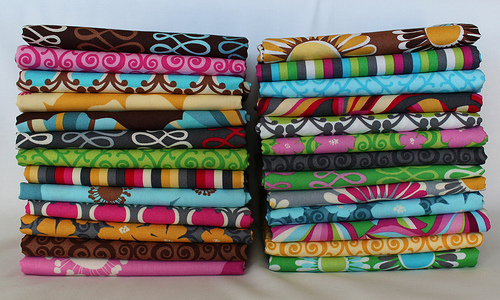 September brings the fall stash game, so it seemed only appropriate to challenge you to participate this month! The idea of the game is to sew up your stash! Now, to complete this challenge, you must COMPLETE the stash game. What does that mean? It means you have to sew something. And at the end of the month, you must submit your point total. Easy peasy, right? Credit (or blame?) for this month’s challenge goes to SewingMel. Tree skirts had been on my idea list for the holiday challenges, but I’ve been trying to keep the challenges flexible for those who celebrate winter holidays that don’t include trees. And for those who don’t celebrate holidays, options for simply using a winter theme. But how the heck can I possibly ask you to make a tree skirt? What if you don’t need a tree skirt? 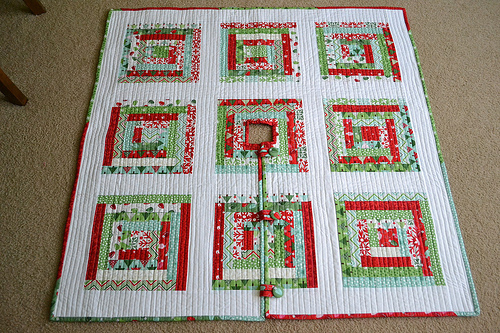 Barb (fw221) made this great tree skirt! Your tree needs that, right? 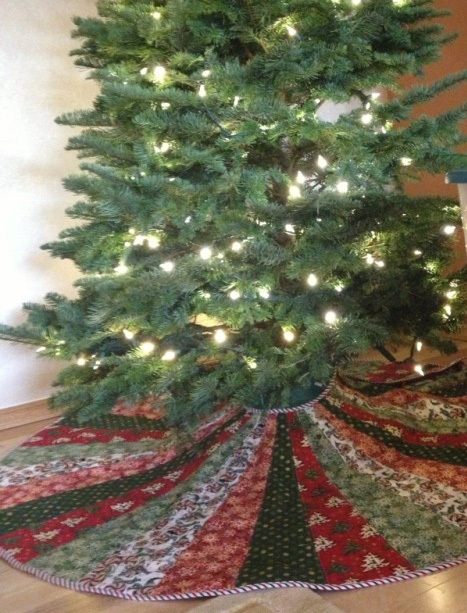 And if you have a fear of circles, a tree skirt doesn’t even need to be round! Check out this one from Lori H. Designs. If you don’t celebrate Christmas, or you do and you already have a tree skirt, or you don’t have a tree, or one of the bazillion other reasons why a tree skirt would be an utter waste of your time, do not fear! Go ahead and make the skirt without the tree. After all, a round tree skirt is really just a circle skirt, right? Make a holiday or winter themed skirt for you or someone you love! And it doesn’t even have to have trees on it. But it could. Trees are always nice.